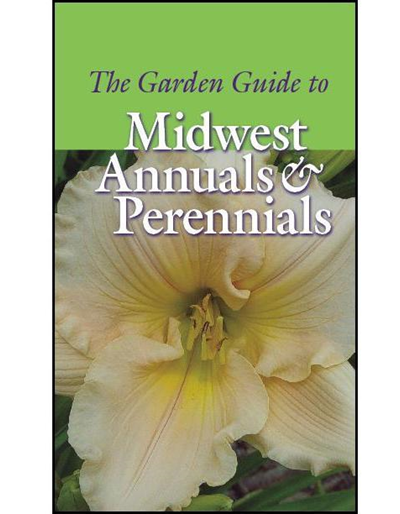 An easy-to-carry guide (5" x 8 1/2") for home gardeners and visitors to public gardens in the Midwest. 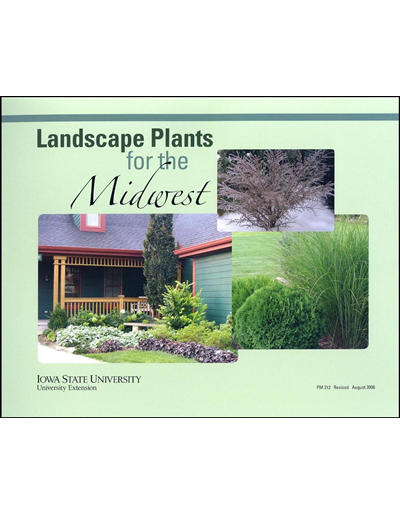 Color photos and basic information about growing 300 annual and perennial flowers, Buck roses, ornamental grasses, herbs, vines, and even water plants. Symbols help to identify sun/shade requirements and indicate special uses (containers, butterfly gardens, etc). Creating a beautiful, functional landscape depends on putting the right plant in the right place. This collection of plant lists is organized by plant type and size. Each entry also gives the USDA Hardiness zone, light requirements, growth habit, flowering and fruiting characteristics, and additional attributes or comments. Includes a very helpful index. This 180-page guide contains a spray schedule and background information for commercial producers of apples, pears, cherries, peaches, plums, grapes and berries. Recommendations for herbicides, pesticides and their application, and plant growth regulators are also included. 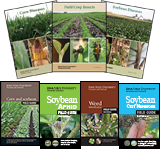 It is a joint publication of Purdue University, University of Illinois, Iowa State University, University of Kentucky, University of Missouri, Missouri State University, Ohio State University, and University of Wisconsin and includes information for producers in Arkansas, Indiana, Illinois, Iowa, Kansas, Kentucky, Minnesota, Missouri, Nebraska, Ohio, Oklahoma, West Virginia, and Wisconsin. This guide combines and replaces the Midwest Tree Fruit Spray Guide (PM 1375) and the Midwest Small Fruit and Grape Spray Guide (PM 1282) into one easy to use reference manual. Also available in PDF from Purdue University.